Easy there, Cowboy! No need to giddy up on so much toothpaste. We brush our teeth so our mouths won’t taste like, well, the backside of a cowboy boot. We love minty mouthwash and the fresh feeling paste provides. But in reality, it’s not about the flavor of dental products you use—it’s the amount that matters. Toothpaste: Too much toothpaste can be damaging to your enamel. 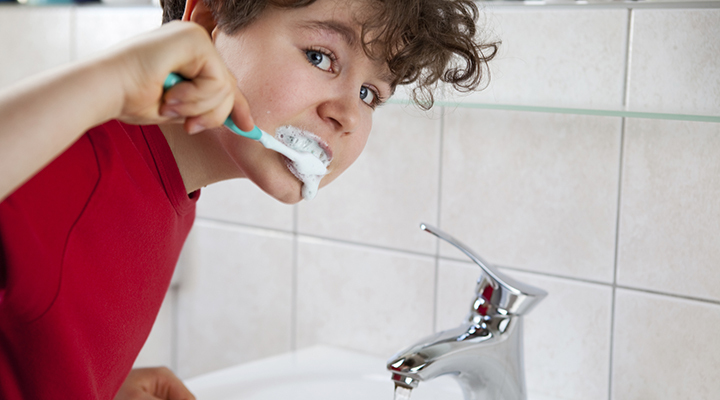 Apply a pea-sized amount to your toothbrush before brushing. Floss: No one likes a floss waster! Floss at least once a day using around 18 inches of floss. The recommendations are there for a reason. Take it easy, cowboy, and use dental items as directed!